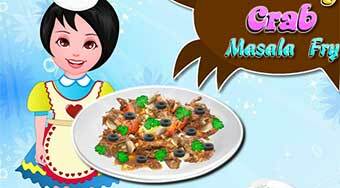 Do you like Cooking Crab Masala Fry? Share it with your friends. Help Ann to prepare surprise for her mother in the form of great fried crab with an Indian masala sauce.